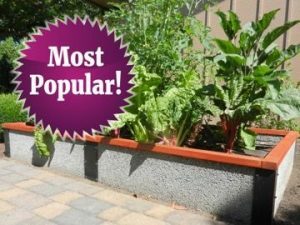 Durable GreenBed are the most beautiful, raised bed kits on the market – perfect for any size community or backyard vegetable garden. Greenbed kits are the perfect raised garden bed solution your raised vegetable garden or patio vegetable garden. 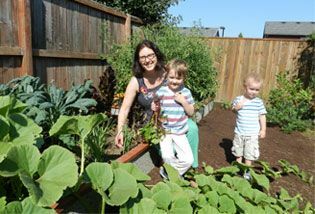 Your veggies will love them and your raised beds will be the envy of the neighborhood. The breathable material results in super soil, and great yields, and the two heights make veggies easy to harvest. 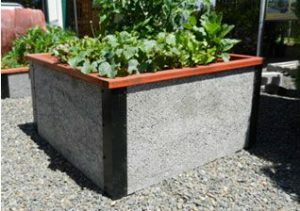 Durable Greenbed raised bed garden kits are designed and manufactured in America, using a unique, eco-friendly, breathable, recycled composite of woodchips and cement. 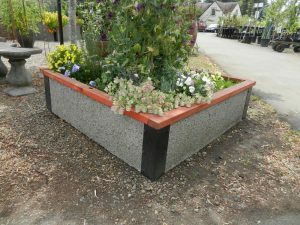 Greenbed raised beds will not rot, crack, peel, rust or splinter. They are available in a variety of sizes, heights and configurations. Your order is shipped to your front door for FREE and can be assembled in about an hour. Durable GreenBed kits are quick and easy to assemble and come in several heights to minimize bending. Place your Greenbed in an ideal, sunny location. Add soil mix, add vegetables starts and get ready for a great harvest. 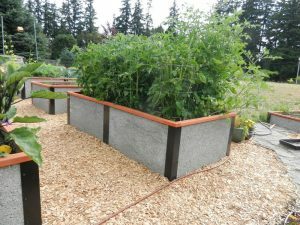 Durable GreenBed raised bed kits make vegetable gardening simple and more enjoyable. Durable GreenBed Kits are available in 6 different sizes. A minimum purchase of 2 GreenBed Kits and the shipping is FREE. At 13.5” high, these beds are taller than most other raised bed designs on the market and allow for plenty of root space for veggies, flowers or bulbs. The 2ft high tall raised bed kit is great for handicapped or physically constrained gardeners who benefit from a taller planting height. An exciting addition to any garden. Perfect for a snazzy display of herbs, veggies, or flowers. Consider it for a parent-child garden giving everyone a comfortable height. Great for smaller gardens or as a Patio Garden Bed Kit. You can reach into the garden from all sides to tend your plants and avoid stepping on growing plants or compacting the soil. Perfect small tall raised bed kit especially for mature or senior gardeners, designed for easy access and maintenance, letting you reach the center from any side and reduces bending over. 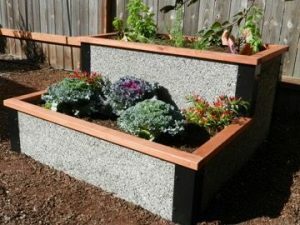 NEW Small Tiered Raised Garden Bed kit. Tiered design provides more growing options in a small footprint. 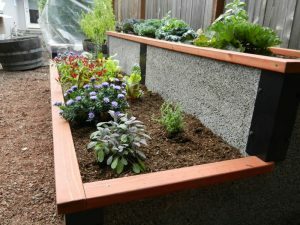 You’ll love the flexibility of the tiered bed depths combined with the ease of raised bed gardening. For shipping purposes, a minimum of 2 kits is required for all orders. You can mix or match kits to reach the 2 kit minimum. *Save 10% when you order 3 Durable GreenBeds (any combination of sizes) and the shipping is still FREE!